Michal Kwiatkowski has won the Tour de Romandie prologue to take the first yellow jersey of the race that Chris Froome has entered as defending champion. Kwiatkowski (Omega Pharma-QuickStep) finished in six minutes and 22 seconds to beat Australian Rohan Dennis (Garmin-Sharp) and quadruple Tour de France stage winner Marcel Kittel (Giant-Shimano) in the 5.57km test, which he started on the back of a full Ardennes Classics campaign. “This is a surprise, actually,” the 23-year-old said. “I was in good shape after the Ardennes but I wasn’t sure how I would feel today. I’m really happy with what I did. That was the first time I was sitting in the hot seat for so long. 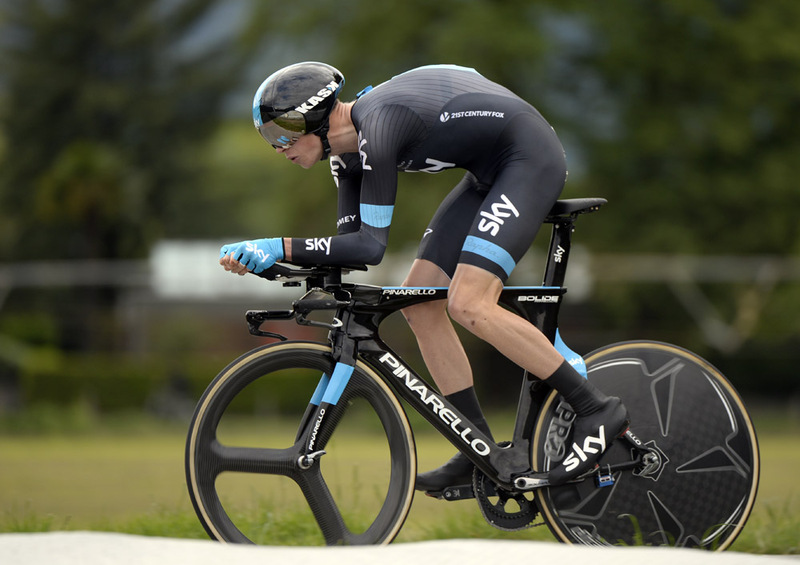 I think a few seconds advantage with such good competition here at Tour de Romandie is something special. It was a bad day for American Tejay van Garderen, who crashed on course and lost something close to three minutes. Van Garderen is set to lead BMC at the Tour de France, and Romandie is traditionally considered a good early litmus test for it. 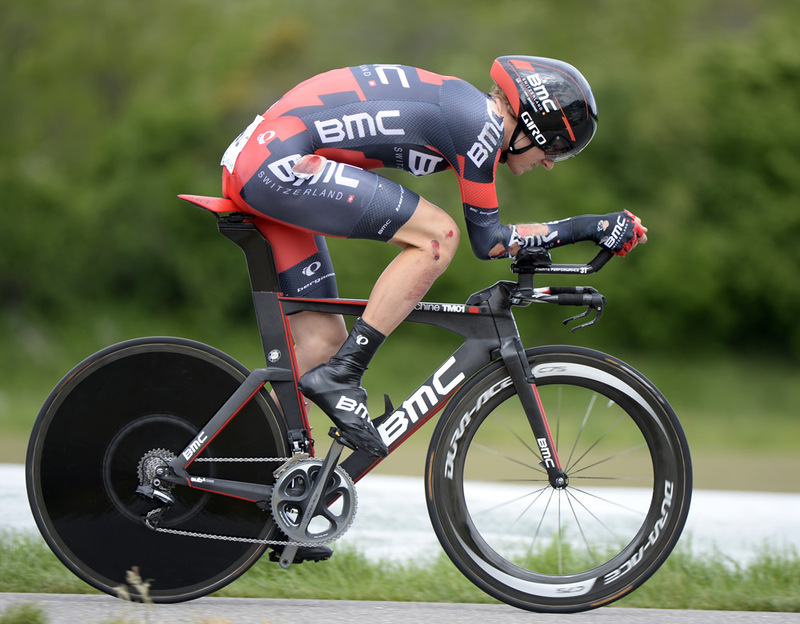 “The bike got away from me in the first corner coming in a little too hot,” van Garderen said. “I didn’t think I was taking big risks but the corner was a little off camber and I just washed out. I have some pain in my hip and some road rash but there’s nothing broken, or too serious. The five-stage race continues tomorrow with a challenging 203km run from Ascona to Sion. It can also serve as a final tune-up for the Giro d’Italia in which Kittel will make his race debut next month. Kwiatkowski recorded top five performances in all of the Ardennes Classics. He this year has also won the points classification at the Vuelta al Pais Vasco plus Strade Bianche and Volta Algarve title honours. 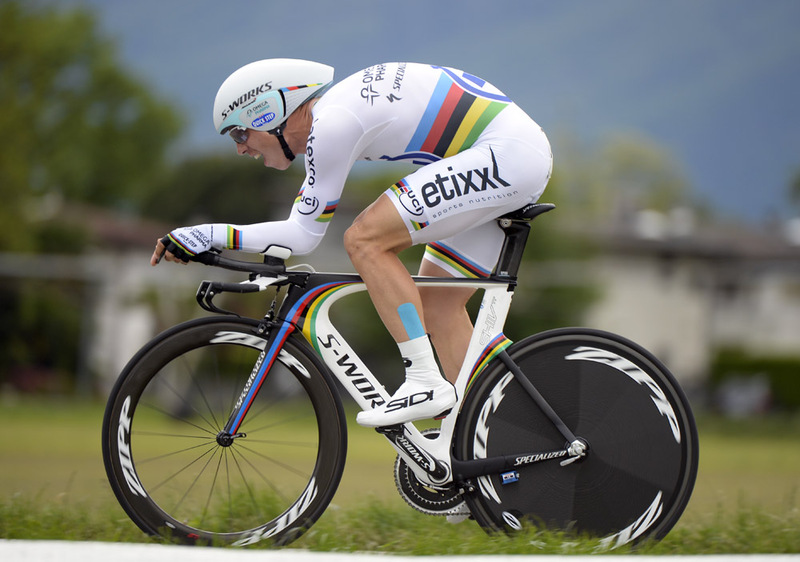 His teammate, time trial world champion Tony Martin, rounded out the top five. Defending Romandie champion Chris Froome (Sky) – who missed Liege-Bastogne-Liege on Sunday with a chest infection – finished in 13th spot, 10 seconds behind Kwiatkowski.